A large complex in Rotherham offers a wide variety of fully furnished work units in a range of sizes. Fully equipped with high quality features including high speed internet access. Easily accessible, being situated just off the A6178, with the nearby Rotherham station offer rail links. This space is located just off Manvers roundabout, with great access to the A6023. Transport links are good, with bus stops within walking distance, and Swinton Interchange Rail Station less than two miles away. Nearby amenities include a Costa Coffee and a Premier Inn hotel. The centre is accessible 24-hours a day, and offers parking spaces, kitchen facilities, flexible terms and open plan office space. A wide variety of office, warehouse and workshop accommodation close to the centre of Rotherham. A range of unit units are available, with 24 hour access, kitchen and bathroom facilities, meeting/ conference rooms and complete on-site parking. The area offers good local amenities, and transport links, with the city centre and train station a short drive away. 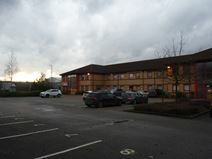 A variety of premium self-contained office accommodation on a brand new business park close to the centre of Sheffield. Fully serviced, with an extensive range of modern features and support facilities, include air con, kitchen areas, broadband access and on-site parking. Excellent transport links, with the M1 only a minute's drive away, and superb access into the city centre, to the Meadowhall shopping complex and to Rotherham town centre.